CIBIL Report or Credit Information Report (CIR) provides detailed information about the credit facility you have availed in past and your repayment discipline. A RBI notification dated September 1, 2016, has now made it mandatory for credit bureaus to provide one free credit report to their customers. The report is titled “Free Annual Credit Report to Individuals”. 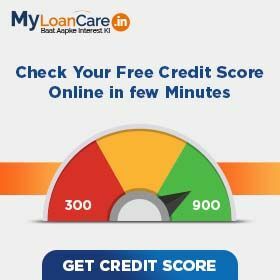 With effect from 1st Jan 2017, All Credit Information Companies (CIC) including CIBIL, Equifax, Experian and High Mark will now provide individuals with one free base level consumer credit report (including credit score) a year. The Free Credit Report provided is detailed and includes the same information as that provided to banks and other lending institutions. The customers can check their reports and can get the errors rectified by informing the credit agency or the bank. This practice in line with the global practice where all credit bureaus are mandated to provide one free credit report annually. CIBIL Report: You can access it online by going to CIBIL website (www.cibil.com). To access the report, you will need to authenticate yourself by answering some simple questions about yourself and your loans. In case the online authentication succeeds, you will be able to generate your CIBIL instantly by paying Rs. 550. In case the authentication fails, you will need to send authentication documents to CIBIL office in Mumbai and get your report. Experian Credit Report: For Experian Credit Information Report, you need to pay a fee of Rs. 399 (including taxes) and Rs 138 for downloading Equifax Basic Credit Report (Credit score will not be included in this). You can also get one free basic consumer credit report (including credit score) every year from all Credit Information Companies. This section of the report displays your personal details such as name, identification proof like PAN, Passport, Driving License, Voter ID, Unique ID no., past and present address, contact details, occupation and reported income. This section reports your occupation and income as filled by you while applying for the most recent loan you have availed. This part of the report includes your type of income which is monthly salary for a salaried individual and annual post tax income for a sole proprietorship, partnership firm and company for the financial year in which you have availed your most recent loan. Information on the different types of loans you have taken in the past such as personal loans, home loans, vehicle loans, LAP, credit cards, business loans, etc from banks, NBFCs, HFCs and other financial institutions. Loan wise record of past loans availed which includes type of loan, sanctioned loan amount, rate of interest, current loan amount outstanding, payment record, any delayed payments, defaults, settlements, write-offs, sanction date, last payment date and closure date. Includes information of loans availed by others where you are a co-borrower or a guarantor. This section of the report contains information about the number of loan applications that you have applied with different banks. When you apply for any type of credit such as home loan, vehicle loan, LAP, personal loan, credit card, the bank will check your credit worthiness by accessing your CIBIL report. Every loan application with the bank that has been checked with the credit bureau is marked as an enquiry in the CIBIL report. Multiple loan enquiries indicate that you had applied for a loan with several banks, but failed to get it. Too many rejected loan queries may make the bank more cautious in taking a decision to approve your loan. Apart from CIBIL, several other credit bureaus have emerged in India. Equifax, Experian and High Mark Credit Information Services are other major Credit Bureaus in India, providing Credit Information Report (CIR). Why CIBIL report is important? CIBIL reflects your credit history and score which is used by banks to take a decision to lend to you or not. Banks check your CIBIL score before approving the loan application. In some cases, landlords check CIBIL report before renting you a home. Who writes CIBIL report? How do they know all this about me? CIBIL is a third party agency that maintains and periodically updates credit profile of borrowers and share the same with lenders, service providers such as mobile phone companies and borrowers (for a fee). There are four authorized credit bureaus in India as of now. Of these CIBIL is the oldest and has the widest coverage in terms of number of customer accounts. Newer ones like Experian, Equifax and Highmark are also growing fast. CIBIL receives information about your credit history from the respective banks and the lending companies. After which CIBIL compares and combines it into one report. How is CIBIL report useful for banks and financial institutions? Type of loan availed (secured or unsecured like personal loan, home loan, car loan, loan against property). Allows banks to get insights on your credit behavior and hence your ability and willingness to repay back their loans on time. Helps banks in taking a decision on other loan terms such as loan amount eligibility: Accurate information on all past loans availed and your current EMI obligations allow banks to accurately estimate your loan eligibility thus reducing the risk of over-leveraging and hence, default. Banks can also introduce risk based pricing based on your report, thus allowing to offer low interest rates to borrowers with high credit score and vice versa. In summary, credit reports helps lenders identify borrowers who are likely to pay back their loans and avoid borrowers who have a poor credit history. What is the duration of information contained in the CIBIL report? How frequently does your CIBIL report get updated? Credit Information report is updated as and when new information is received from the member credit institutions. Information related to repayments of current loans and new enquiries for fresh loans is updated regularly. Can there be errors in our CIBIL Report? CIBIL report documents the credit history, loan queries, type of loans availed by you in the past and as reported by your bank to the bureau. All this information together is used to compile a single CIBIL score of the borrower which reflects his/her credit-worthiness. While the bureaus use highly automated systems and technology to receive, capture and process borrower information from banks, there still remain a possibility of errors showing up in your CIBIL report. As information contained in the CIBIL report impacts your credit score and your ability to avail credit, it is essential that you go through your CIBIL report carefully to ensure that there are no errors. Any errors found need to be raised and rectified through CIBIL dispute forum. What are some of the common errors that crop up in your CIBIL report? Current balance in your CIBIL report reflects an outstanding amount. Amount overdue states that you have failed to service your current loan obligations. You may find that the last EMI paid is not updated in your CIBIL report. The missing update is counted as inaccuracy. This usually happens when CIBIL report is purchased within 45 days of the EMI paid. The payment is generally updated within 45 days by CIBIL after receiving the data from lender. CIBIL report carries a section of your personal details that includes name, PAN, address, date of birth. Different banks submit different details after which CIBIL collates the data received and summarize it in to one CIBIL report. You must ensure that the information reflected in CIBIL report is accurate before filing loan application. If you discover that wrong loan account has been added in your CIBIL report then the same has to be brought to the bureau’s notice immediately. Inaccurate CIBIL Report? What should be the next step? If you spot an error in your CIBIL report, you can download, fill and submit an Online Dispute form to get it rectified. Please provide your complete and accurate details to allow CIBIL to communicate with you effectively though the dispute resolution process. Your dispute is logged in and registered using your Control Number and the personal details. Control number is the 9 digit unique number assigned by CIBIL to a new report generated. A new control number is assigned every time a report is generated. You are advised to fill the accurate control number and date in the dispute form as it helps CIBIL to identify the report for which the dispute is being raised. After submitting the form, a unique dispute ID is generated with reference to the dispute raised and is sent to you. After recognizing the complaint, CIBIL checks the error with the respective bank. CIBIL is the custodian of the data, not an owner. CIBIL only compiles and prepares report on the basis of the data given by various lenders. The bank checks their internal records and responds to CIBIL with a response on your query raised. Once CIBIL receives clarification from the respective bank, it conveys the same to you. Usually CIBIL takes 30 days to resolve the dispute. Just like CIBIL, Experain also has an online process whereby you are required to fill the form and send it by post to their address along with a self attested copy of your identity and address proof. What if you have raised a dispute mistakenly or accidently? If you have raised a dispute mistakenly or accidently, there is nothing to worry as the same does not affect your CIBIL score in any manner. It will not be reflected anywhere in your CIBIL report at any point of time. Nevertheless, you are advised to check your CIBIL report thoroughly before raising a dispute. Credit report is a complete record of all loans and credit cards availed by you in the past compiled by one of the credit bureaus such as CIBIL, Experian, Equifax or Highmark. The credit report also contains your personal information and a record of all loans and credit cards applied irrespective of whether those were sanctioned or not. Against each account, the credit report shows your payment track record, sanctioned amount, current outstanding balance, date of opening of account, last payment and track record of any delays in paying installments. Credit score, on the other hand is a three digit number assigned by the credit bureau based on all compiled information. The score can range from 300 to 900 in India and better the past repayment record, higher the score. More recent credit activity tends to have a higher weight age than that in the past.